Your One-Stop Shop to Nutrition, Balance & Beauty. It’s the beginning of January and already there are cracks appearing in your New Year’s resolution. Even though you grasp a little tighter, as each day goes by your will power seems to be slipping further through your fingers. You knew quitting smoking would be hard but had no idea it would be this hard. As challenging as quitting is though, it is a piece of cake compared to some of the possible health complications you most likely will face down the road if you continue smoking. You know it and I know it. There is no such thing as a healthy smoker. So you made your choice: You want to be healthy. You want to be a non-smoker. I am not writing today to inform you of how bad cigarettes are for you. Unless you have been living in a bomb shelter, you are well aware of the risks. I am here to help you through one of the most challenging transitions of your life. I am here because I know you can do this! No, I have not created a magic pill. If I did, I would probably be lying on the beach of my own privately owned island somewhere in the south, reaping the fortunes of my invention. Unfortunately, that’s not the case. Fortunately however, I do know a few diet changes that can make your transition to healthiness a bit easier. 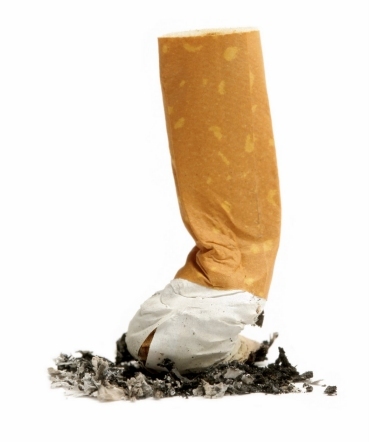 Among the many side effects related to smoking, smoking causes the body to become more acidic. An acidic state is not ideal because it is only in an acidic body that disease can manifest. Ideally, we want to be more alkaline. Evidence has shown that consuming a diet high in alkaline foods while reducing acidic foods can not only restore damaging effects caused by smoking, but also reduce cravings. Ideally, a detox would be most beneficial when quitting smoking. Some of you may already feel overwhelmed with the changes you are making and think it will be too much to do a detox as well. However, I found when quitting smoking I needed distraction and a change of routine. A detox is a great place to re set your focus while reclaiming your health. A detox diet consists primarily of vegetables, fruits and whole grains (preferably gluten-free), low-fat, high fiber foods, while increasing water consumption. 2 to 3 liters of water should be consumed per day to reduce the dehydrating effects caused by smoking. Reducing caffeine is also a good idea due to its acidity. Green and herbal teas are a great replacement. Lightly steaming your vegetables is recommended as they become easier to digest. Weight gain is a big concern for many when quitting smoking. We often look for something to replace that hand-to-mouth action and often turn to compulsive snacking. This action is hard to avoid but does not always have to result in higher numbers on the bathroom scale if our snack choices are healthy ones. Following a detox will prevent weight gain. When craving, choose something that has multiples to fulfill that repetitive motion. Carrot sticks, celery sticks, grapes, sunflower or pumpkin seeds are great options. Really, any fruit or vegetable chopped or diced into small pieces should help deal with those munchies. Supplementation of certain nutrients is beneficial when quitting smoking as smoking diminishes many nutrients in the body. Antioxidants are especially important as smokers are constantly exposed to toxins. The ACE’s (vitamins A,C,E) along with Beta-carotene, Zinc & Selenium make up a nutrient plan for quitting smoking (please contact me for proper dosages). Sodium or potassium bicarbonate tablets have also proved to be helpful with cravings because of their alkalizing effect on the body. The herb Lobelia has also shown to help let go of the cancer stick as it has shown to actually reduce the effects of nicotine on the brain. Because there is not enough research done on Lobelia used for quitting smoking, please consult your physician and or a professional herbalist before using. Some other helpful tips to butting out would be to start an exercise regime. Regaining focus on positive health changes while changing up your routine helps one forget about their addiction while restoring health. Deep breathing exercises have also proven to help deal with those nasty cravings while detoxifying the body. Hot tubs, saunas or simply taking a hot shower help to detoxify the body, therefore can be beneficial when quitting. Whatever method you choose when quitting smoking remember, you must believe in yourself. These tips will be helpful but will power will still be greatly required. You must remember why you chose to quit in the first place. If doing it for yourself is not motivation enough, carry a picture of your loved ones (your kids, spouse, parents) and look at that picture whenever you crave a cigarette. Realize that every time you light up, you are choosing cigarettes over your loved ones. And most importantly, when you light up you are choosing cigarettes over yourself. You know you deserve more than that. It’s 2011. It’s the year of YOU! A unique group of passionate women working together to share their extensive knowledge on health & nutrition in hopes to unleash the 'Healthy Hottie' in everyone. Have you started your resolutions yet?